HISTORIC NEW LEGISLATION: If the significance of a new law is measured by the benefit it brin gs to the public and the anticipated impact it will have on the entire judicial system, then Minnesota’s new Expungement “second chance” law is nothing short of historic. In a 2012 survey, the Society for Human Resource Management, found that 87 percent of employers run criminal background checks. And it is not just felonies or violent crimes that stand in the way of a job offer being extended to a qualified candidate. Twenty Six percent of employers in this survey stated that they would NOT extend an offer to someone with a nonviolent misdemeanor conviction. In addition, the impact of a misdemeanor conviction is compounded for individuals licensed by the Department of Human Services because certain misdemeanor convictions will result in a seven-year disqualification. 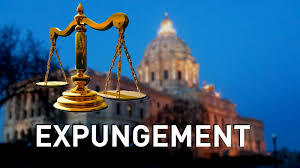 However, the road to expungement for a petitioner is not guaranteed. There are burdens to meet, hurdles to overcome and ultimately the presiding judge, after applying a 12 part test, must be convinced that the benefit to the petitioner outweighs the detriment to the public and public safety. Under this new law, only the truly worthy will qualify. The attached Judicial Training Update provides judges, attorneys and the general public with a Step-by-Step Guide to Minnesota’s new “second chance” expungement law. This entry was posted in EXPUNGEMENT, Minnesota's New Expungement Law and tagged Expungement Guide. Bookmark the permalink.